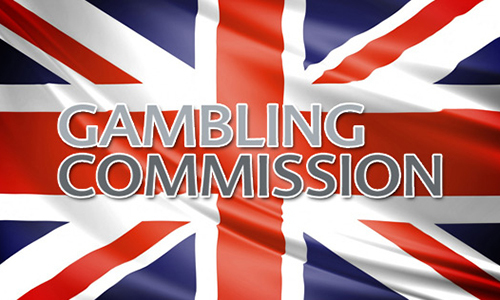 The United Kingdom Gambling Commission (UKGC) released yesterday its forward-looking strategy for regulating the gambling services offered to the country’s citizens over the next several years. In a 28-page report titled simply, “Strategy 2018-2021: Making Gambling Fairer and Safer,” the UKGC addresses some on the core challenges facing the country in the years ahead. At the top of the list: Various forms of gambling are enjoyed by the UK’s populace in record-setting numbers, but there’s also a growing sense of industry mistrust: Over the past decade, consumer confidence that gambling is “fair” and that operators can be trusted has eroded by roughly a third, from 49% (in 2008) to 34% today. Improving the way the Commission regulates – for example, the Commission will improve the way it taps into consumer and public issues to inform action; it will help industry comply but take precautionary action where necessary, and will give independent and well evidenced advice to government on gambling and its impact. Dealing with that small minority of gamblers who demonstrate problem or addictive behavior and thus cause harm to themselves or others is only part of the UKGC’s social mission. As this report details, making sure that the UK gambling industry is transparent and fair to all consumers is also high on the list. The past couple of years have seen a spate of UKGC regulatory actions against a host of operators for violations spanning the gamut of consumer-protection issues, meaning the agency has put some teeth behind their talk. And, judging by the tone and reach of this report, there’s likely to be plenty more in the next few years, until perceived violators adjust their marketing and business strategies in line with the UKGC’s expectations. According to Gambling Commission Chair Bill Moyes, “This is an ambitious strategy to deliver fairer and safer gambling over the next three years. We can only be successful in this by engaging with consumers and by working closely with all our regulatory partners and the industry. “In the same way that this strategy challenges the industry, we also challenge ourselves – as the regulator – to deliver effective, targeted and innovative regulation. These are wonderful ideals, but in reality, we’ll see how it all works out. The gambling industry has shown itself to be no better nor no worse than most other industries when it comes to regulatory compliance. To rephrase that, it’s more likely that UKGC-subject operators will comply to the extent that they are induced to comply in the face of strict penalty possibilities. A few of them will push the edges and continue to get spanked, and as to whether that increases or further erodes consumer confidence, it remains to be seen. Somewhere ahead in all this regulatory re-pacing a new equilibrium will be established.